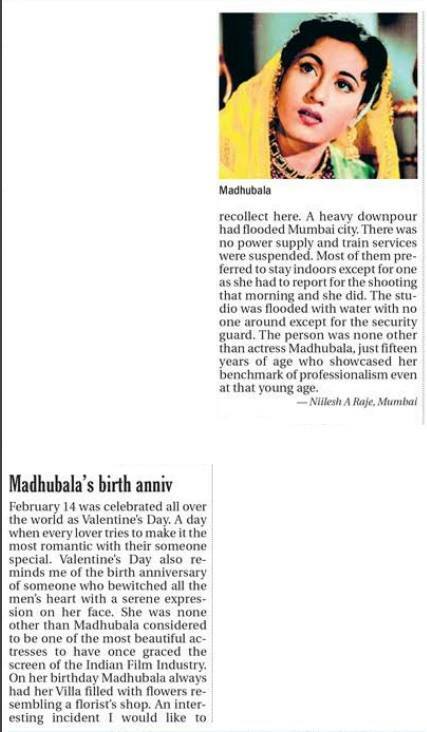 15 February 2016 - My piece on this beautiful actress Madhubala who was born on Valentine Day is published in today's newspaper. "Zindagi Bhar Nahi Bhoolegi Who Barsaat Ki Raat" . . .